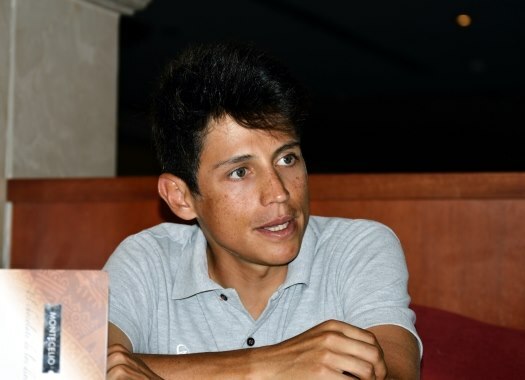 Esteban Chaves of Mitchelton-Scott won the sixth stage of the Giro d'Italia in spectacular fashion, finishing alongside teammate Simon Yates after spending most of the day in a breakaway. The Colombian formed part of a large breakaway of 28 riders and ended up being the only one remaining in front in the last few kilometers. He was then joined by Yates, who finished just behind Chaves to take the Pink Jersey. "It was a really hard stage here here on the Etna," Chaves said shortly after finishing. "We made the break with Jack. I want to thank him because he pushed a lot in the break. In the end I arrived with Yates and I passed first, he takes the Maglia Rosa. How unbelievable is that?" The South American will have more to be happy about as the win also took him to first place in the mountains classification. "I think I am also in the King of the Mountains Jersey, so this is unbelievable, like a dream," he added. "Now we will go to the main land with a good start. I'm super excited and we'll keep dreaming.